Some 80 long-distance runners at four Pac-12 Conference institutions are entering the new school year connected to monitoring equipment while on treadmills and under the scrutiny of UO scientist Mike Hahn. The project — led by the UO with participation by Stanford University, the University of Southern California and the University of Colorado Boulder — is designed to identify athletes with the highest risk of developing stress fractures, which can keep athletes out of competition for multiple seasons. Stress fractures can result from overuse, repetitive loading and inadequate rest between training sessions. They are common injuries among athletes involved in track and field, basketball, tennis, dance and gymnastics. The majority of such injuries occur in the feet and lower legs. The goal of the new project is to develop an intervention to help athletes, especially first-year runners who are most often affected, avoid such injuries, said Hahn, director of the UO’s Bowerman Sports Science Clinic. The approach will blend biomechanical data gathered in the project with information related to training load, energy availability and recovery from training. The project runs through June 30, 2020 and is supported by a $1.2 million grant from the Pac-12 Conference Student-Athlete Health & Well-Being Initiative. 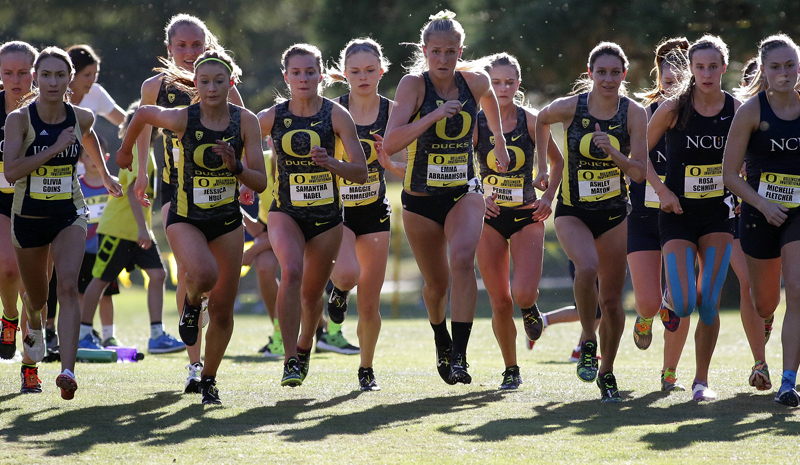 At the UO, the focus is on men and women on the cross-country teams, Hahn said. Initially, the research team is taking a series of impact-loading measurements of the runners’ ankles, legs and pelvises to document their baseline running mechanics. As the athletes later go out on training runs, researchers will monitor the magnitude of impact loads, including foot-to-ground contact and accelerations, and also monitor asymmetric motion patterns and heart rate levels. In the third year of the project, Hahn said, researchers hope to begin testing a risk-awareness intervention based on what they’ve learned, measure its effectiveness and then move forward with a wider clinical trial for athletes in the Pac-12 Conference.